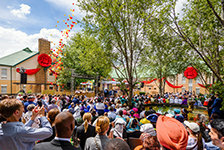 In a villa overlooking Lake Como, in a Northern Italian community synonymous with style, the Church of Scientology Mission of Como celebrated its transformation to Ideal. Today marked the start of an incredible year as Košice set the benchmark in opening the first Ideal Scientology Mission for Eastern Europe. Launching a new era for Scientology in Senigallia, Italy. 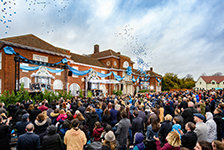 Scientologists from across Italy, joined by civic and religious leaders, gathered Saturday, September 23, on the Adriatic coast of Italy for the dedication of the new Ideal Church of Scientology Mission of Senigallia. 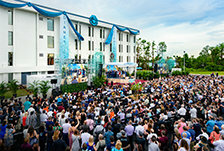 Launching a new era of spiritual freedom in the Bayou State with a stunning Church of Scientology Mission July 8 was a red-letter day for Louisiana, as leaders in the state’s capital welcomed the Scientology Mission of Baton Rouge to its new, expanded home. 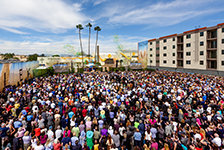 October 22 was a landmark day for Lake Forest, California, as the town welcomed a new Ideal Scientology Mission to their home. 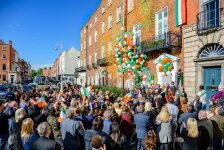 The new Church of Scientology National Affairs Office opens its doors in Dublin on the city’s iconic Merrion Square to offer permanent delivery of Scientology-supported social betterment programs in Ireland.